Adelaide: The International Cricket Council (ICC) Chief Executive David Richardson has expressed disappointment following President Mustafa Kamal’s comments about the match officials in the Cricket World Cup 2015 quarter-final between Bangladesh and India in Melbourne on Thursday. 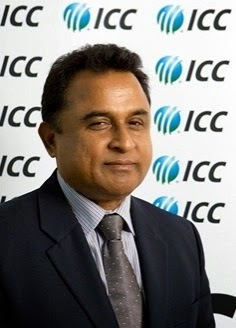 “The ICC has noted Mr Mustafa Kamal’s comments, which are very unfortunate but made in his personal capacity. As an ICC President, he should have been more considerate in his criticism of ICC match officials, whose integrity cannot be questioned,” Richardson said in a media statement. “The no-ball decision was a 50-50 call. The spirit of the game dictates that the umpire’s decision is final and must be respected. Any suggestion that the match officials had “an agenda” or did anything other than perform to the best of their ability are baseless and are refuted in the strongest possible terms,” the statement stressed. “We now look forward to an exciting last few matches of what has been a very successful and interesting ICC Cricket World Cup 2015,” Richardson concluded.